Then as I have the screwdrivers I tried a thing, I tried to turn the screws on the watch bezel too, and it worked!!! I’m a GEEK person, I like to open inside whatever electrical thing I have to see what’s inside. In fact, I saw some FCC photos of Fenix3 but they weren’t detailed enough, so not enough for me. 😉 Then my heart started to beet faster and I hit the road to inside of it. Removed all the screws and removed the face. Now I have the back of the metal watchface frame in my hands. This frame is maybe the heavies part of the watch. It holds the (I believe) JDI LPM012A154A memory in pixel display unit. This is surely not the thinnest display unit. 🙂 But it is certainly one of the least power hungry and always on displays. I think it is glued there using sth. like hot melt silicone. So it may be possible to cut the glue and then re apply using a hot melt silicone gun. As I looked for an EXO-ANTENNA thing, couldn’t see anything around the metal frame and don’t think there is an antenna around the screen behind watch numbers and seconds of the face. There is no other connection then the display module. 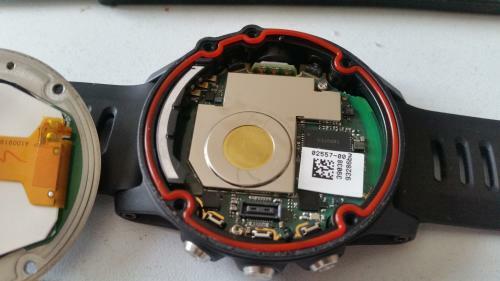 Buzzer has no air connection to outside of the watch, it is completely sealed. When it buzzes with an open case, it produces a louder sound but when sealed, F3 body blocks some of the sound going out. Maybe sticking it to some metal parts in the outer body of the watch will make it more audible from outside. Motherboard goes out of the housing by removing two screws holding it. Buzzer is adherent to EMF shield and both are removed together. EMF shields usually helps to block circuits with different electromagnetic signals and noises, interfare each other. 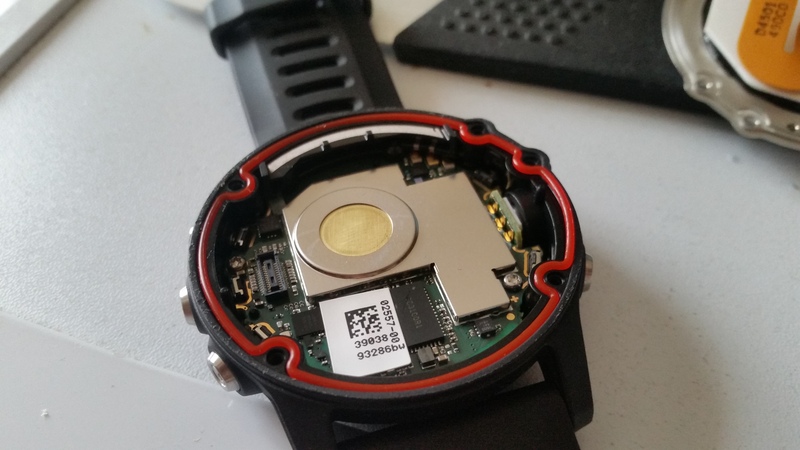 Under that tiny metal there are the chips giving the Fenix3 the real glory! Fenix 3, MTK ARM 3333AV GPS chip with antenna springs. In the other side of the mobo, there is the life juice of the F3, 290 mAh, 1.08Wh battery. Note that it’s not 300 mAh. 🙂 Model: FLPB342735-P1 (JKPower?). 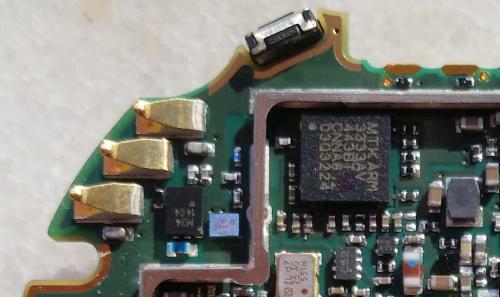 Near the battery, version of the motherboard is written, it says Version 9. 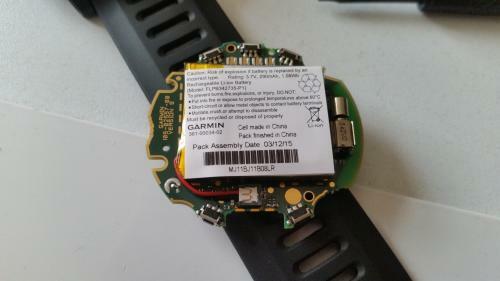 It seems Garmin is continuously developing the device but,we don’t know when the V9 started production. It is a Rev B device also. All Rev B devices have version 9 motherboard? Don’t know! So what changes with different revisions? If there are technical problems with older revisions, they are corrected. If there are production issues with some chips, they are changed with different ones etc. Then what changed in F3 mobo? 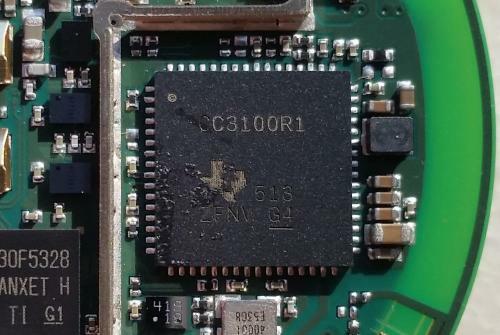 There is a photo in an FCC document of F3 with motherboard V2. 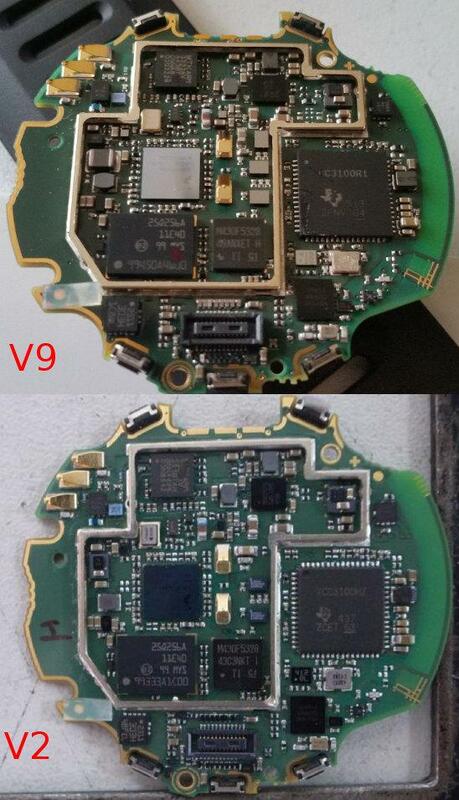 There are some chip version changes and added electronic components etc… Let’s compare. Then what about the case? F3 case is a pretty plastic case. The plastic is said to be some reinforced polycarbon etc… Between the start-stop and back-lap buttons there are two tiny holes and there is one hole under the watch. I think the little PCB in the back of the holes has the barometer sensor. And F3 uses it to calculate the altimeter too, some accurate & some inaccurate… Also maybe the temperature sensor is here, as most barometer sensors has their temperature sensors too. 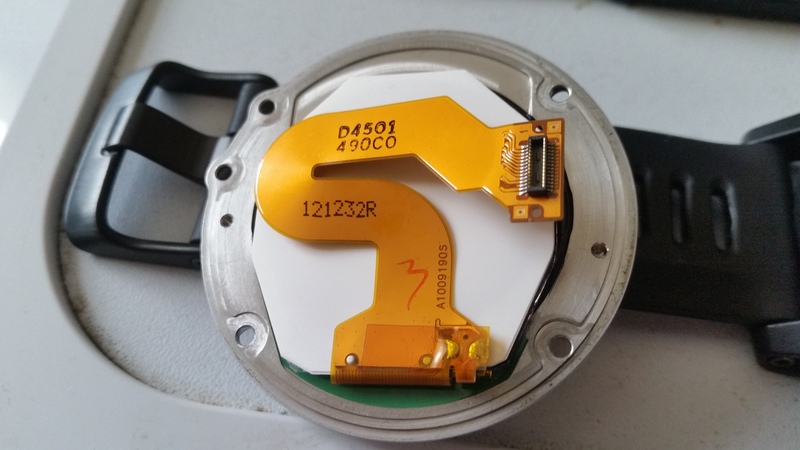 They use it to calculate their deviation due to temperature and correct it etc… Also there is a transparent plastic part glued under the sensor, maybe it’s sth. like a support mechanism for the barometer. Ok, we crawled the Fenix 3 but, where is the GPS antenna, where is that EXO antenna? Without screwing again its screws, I tried to do some tests to understand where is its antennas (GPS, BLE, ANT+, WiFi etc.) Unfortunately, I forget to try BLE, ANT+ and don’t have WiFi settings to test. Anyway, what I want was the GPS antenna, and I found it! At least, I think so. 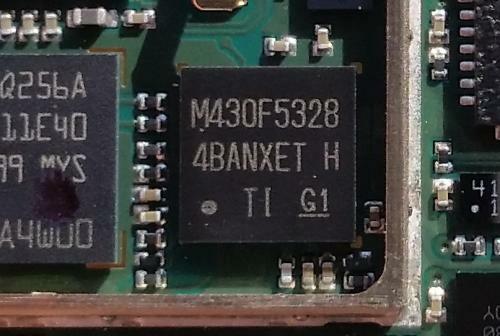 Maybe it is responsible for WiFi and BLE/ANT too but it is far from their chips, so not sure. 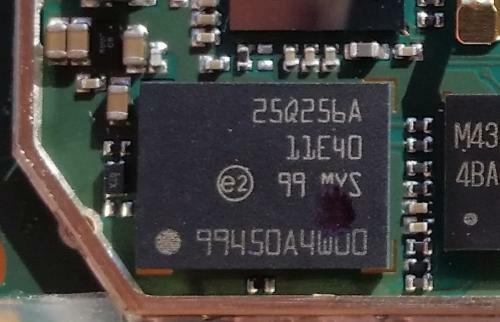 Also around BLE/ANT and WiFi chips there is a line on the edge of PCB and I think its responsible for BLE/ANT+ and maybe even WiFi. Anyway, where is the EXO antenna? Do you remember the mysterious plastic part with some metallic parts on it? On top of the housing there is a small plastic part with a weird shape. On its two sides there are paper like two metals. One has a single connection, and the other has dual connection with the motherboard via three springs on the motherboard. Now, I know what is an EXO antenna! 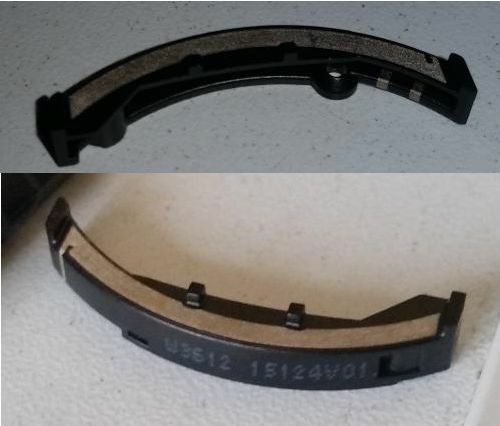 It’s not an antenna around the crown, it’s an antenna inside the watch and near the upper strap holders. 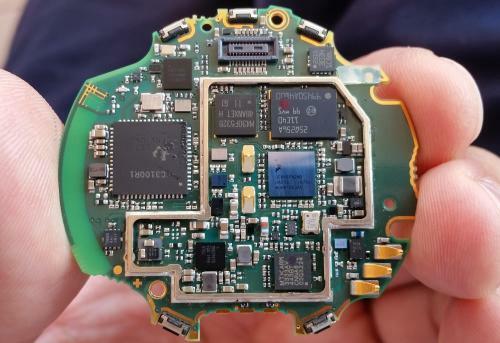 I don’t know which antenna on the plastic module is for GPS but maybe both or just the one with single connection. Antenna is in fact pretty large compared to some phone GPS antennas. 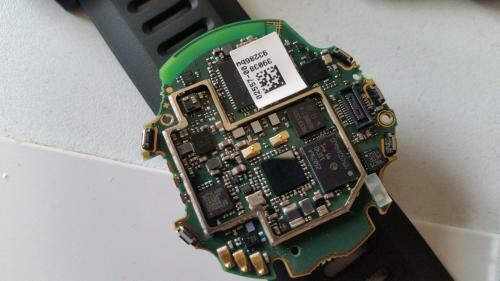 Antenna module sits under the metal frame of the watch. 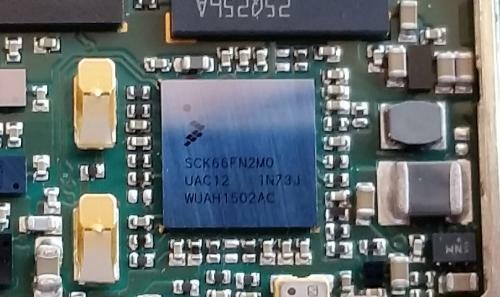 When the frame is fixed with screws, it pushes the module towards springs on the mobo, to enable solid connection. 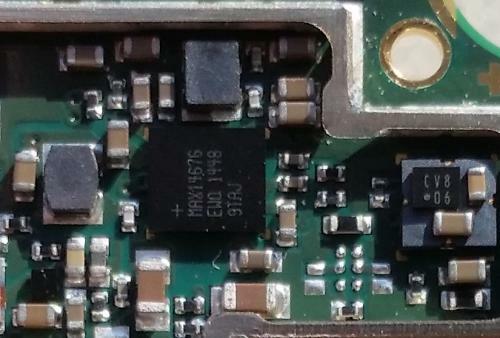 Antenna on the module doesn’t come into contact with metal frame due to four toes around it. So antenna is not in the frame around the display but just under the frame. Can metal frame be the EXO antenna thing and help the antenna absorb the signal better? Maybe it’s a passive antenna radiating the signal, or like director rods on old UHF antennas? Don’t know. The GPS accuracy issues. Althought some deviations, I didn’t have an issue that turns Fenix3 into an unusable product for me. It’s almost as accurate as or maybe more accurate than Samsung Galaxy S5 and it works for me. But I’m not a professional runner and don’t need a perfect accuracy to help my training. 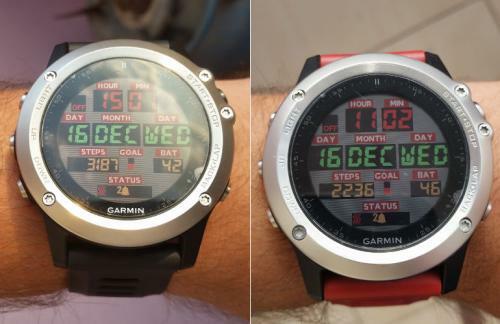 But on Garmin Fenix3 Forum there are many people complaining about GPS issues. However, when I use my Fenix 3 when its face looks at sky it produces better and more straight lines. I mean it is better when the watchface looks at sky. For example here is a simple test I made. I don’t mean it’s the right test but I found the results interesting. I walked inside a basketball pitch and tried to draw a rectangular square inside the pitch, of course my pencil was Fenix 3. 🙂 I wore the watch in three positions. 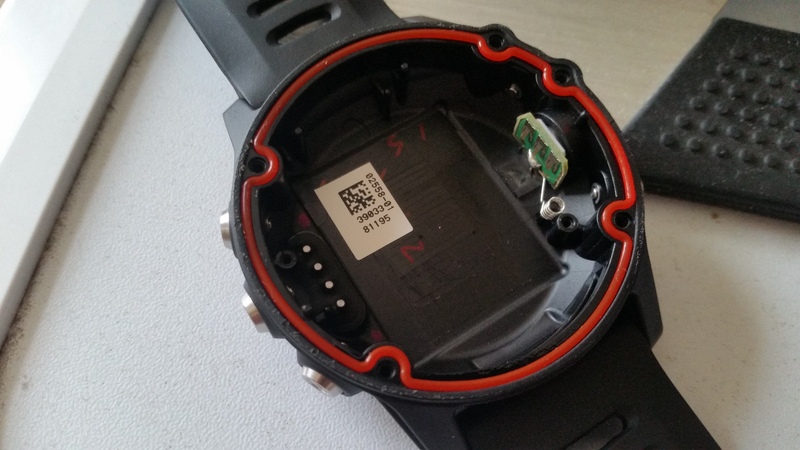 First one, watchface looking inside at my body. Second one, watchface looking outside, as a usual wearing form. Last one, watchface looks at the sky and I need to lift my arm to enable the watch to see the sky always. In last position it shakes less than the other two positions. Also the test was made in smart recording mode, every second recording would break it more. Fenix 3 square drawing test. The best result came with the watchface looking at the sky. That is maybe because the metal face sees the sky and satellites better, or maybe because in this position I don’t shake my hands like the other two one. I tried this position in one of my runs and that gave good results. I just wore it closer to my elbow so that it’ll hold my arm better and turned the face towards the sky. FeRHaD | 16 Ara 15 | | E-posta ile tavsiye et. Next time I’ll check it better but, it seems there is a strong adhesive between the display and the ring. I tried with my hands -not really hard- but the display didn’t move anyway. So I think there is a kind of strong adhesive between them. Maybe heating the ring and removing the display is possible but I can’t say anything certain.